The Acadia National Park bed reflects the beauty of the first Eastern National Park. People have been drawn to the rugged coast of Maine throughout history. Awed by its beauty and diversity, early 20th-century visionaries donated the land that became Acadia National Park.The park is home to many plants and animals, and the tallest mountain on the U.S. Atlantic coast. Today visitors come to Acadia to hike granite peaks, bike historic carriage roads, or relax and enjoy the scenery. Each bed is made with a plush non-pill polar fleece and a diamond quilted cotton canvas on the reverse. The contrast cording on the top and bottom seams give it a defined look. It's easy to clean with a zippered removable cover that can be machine washed. 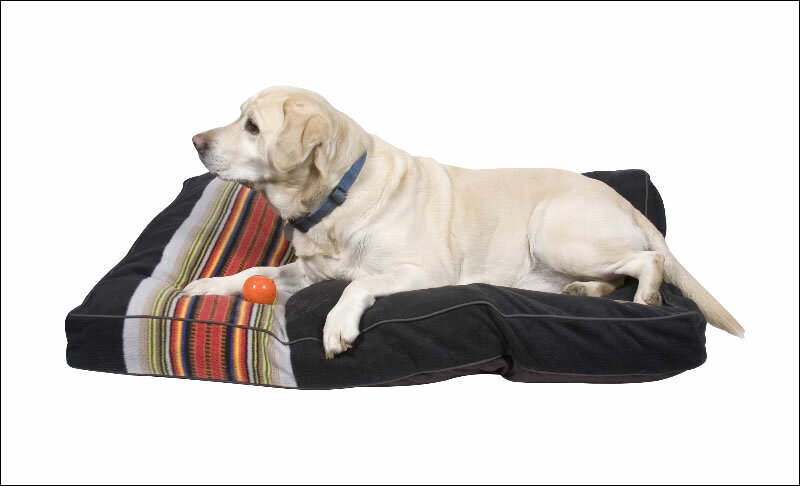 The unique channel chambered liners keep the 100% recycled high loft Memory Fiber fill made from recycled soda bottles from shifting and maintains the plush loft that elevates pets off cold floors to keep them happy and healthy. For every one pound of eco-friendly fill, seven plastic bottles are diverted from a landfill. Since the early 1900s, Pendleton Woolen Mills has honored America’s National Parks with a collection of distinctive park blankets. The Glacier Park National Park blanket was the first of this collection, debuting in 1916. Its historic markings and colors date back to the frontier trading posts. Traders would indicate the weight of the blanket offered in exchange for furs by holding up one finger for each pound. 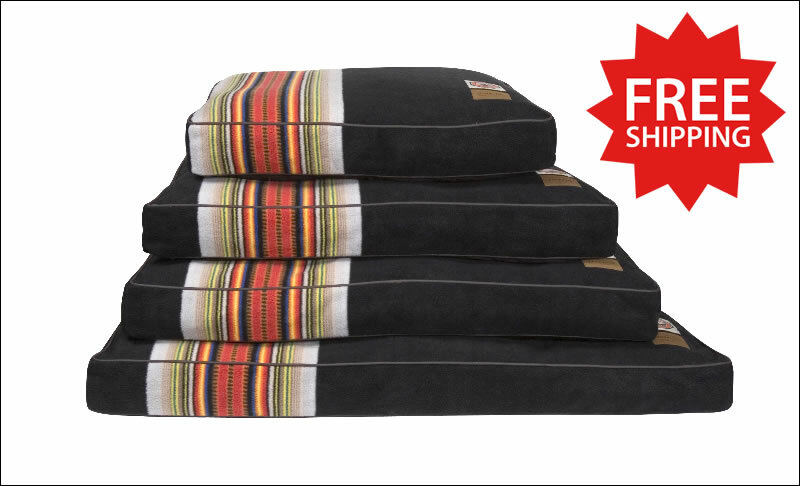 The original blankets incorporated three, four or five black stripes in the design, which indicated the value of the blanket. Colors and variations of the original striped theme have been adapted to reflect distinguishing characteristics of each park and blanket in the collection. National Park Blankets are still woven in the century-old Pacific Northwest mills, just as they were more than 100 years ago. 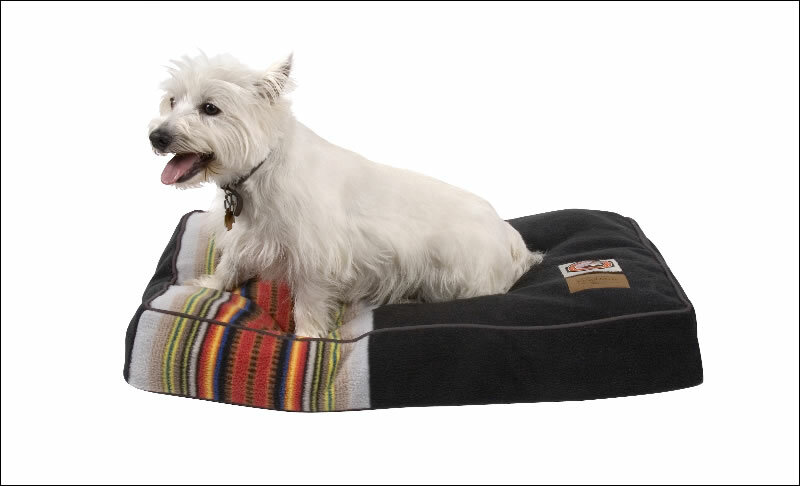 Ideal for dogs up to 35 lbs.